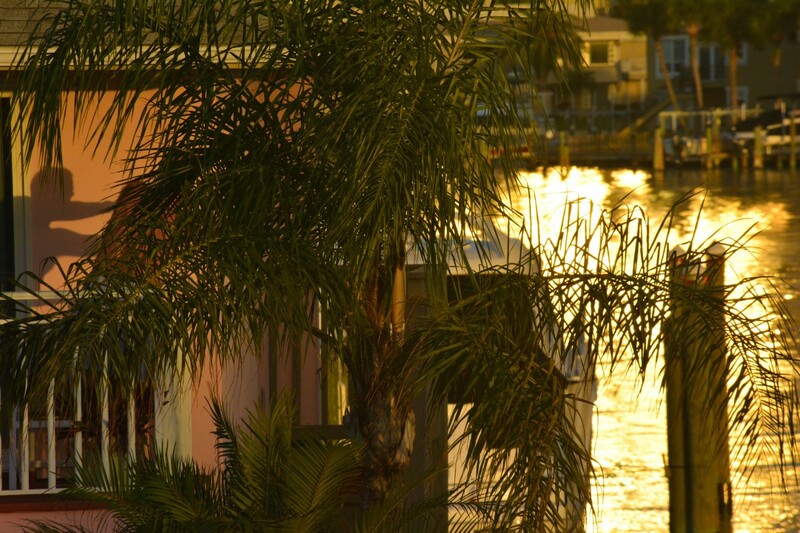 We have been back from Florida for two weeks now. Hole up in our mountain abode surrounded still by mountains of snow. Fortunately the snow is melting slowly so we can avoid some local flooding. Each day we watch the temperature creep up into the high twenties or low thirties and opt to walk on the treadmill watching episodes of Warehouse 13. 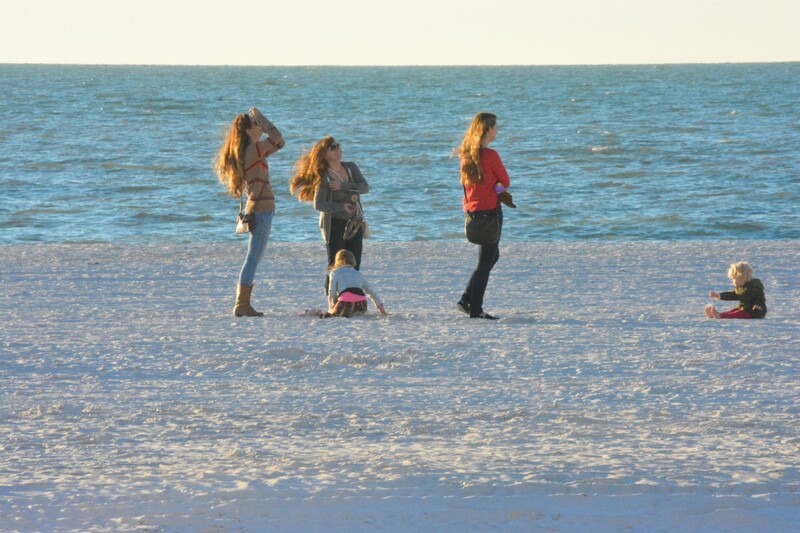 I wish I could teleport and just take a walk on the beach. Note to self,”Stay south through March!”. 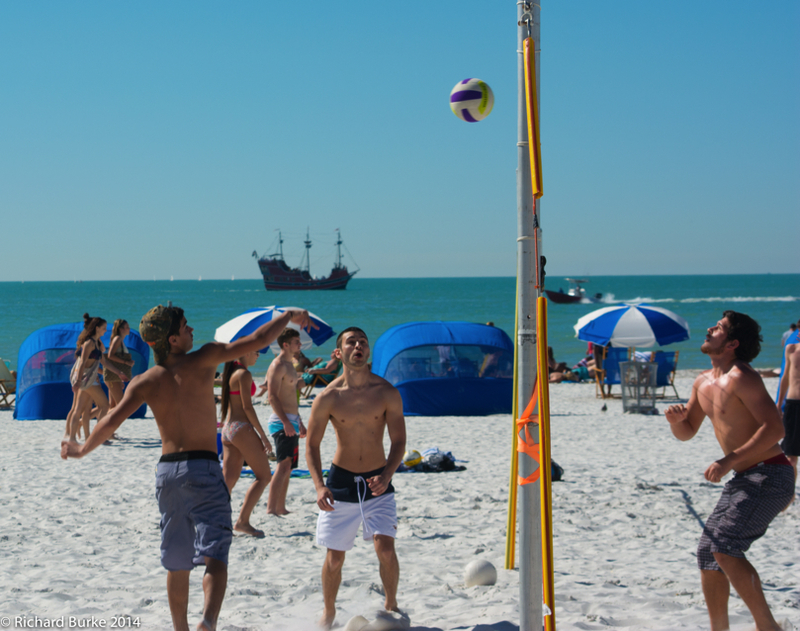 A lot of younger people play volleyball on Clearwater Beach. They all look fine in their speedos and teeny bikinis. However, some can really play. 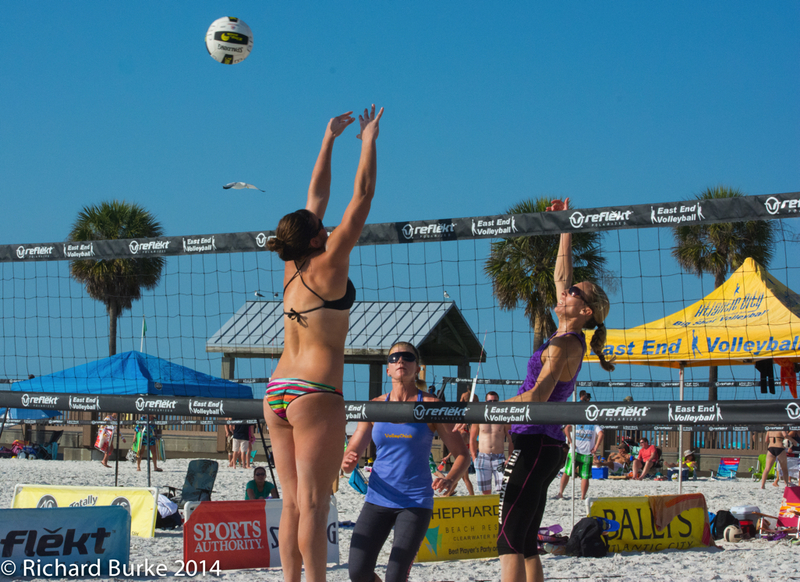 These young ladies were playing for the Eastern Regional Beach Volleyball Championship and they knew how to spike and dig! 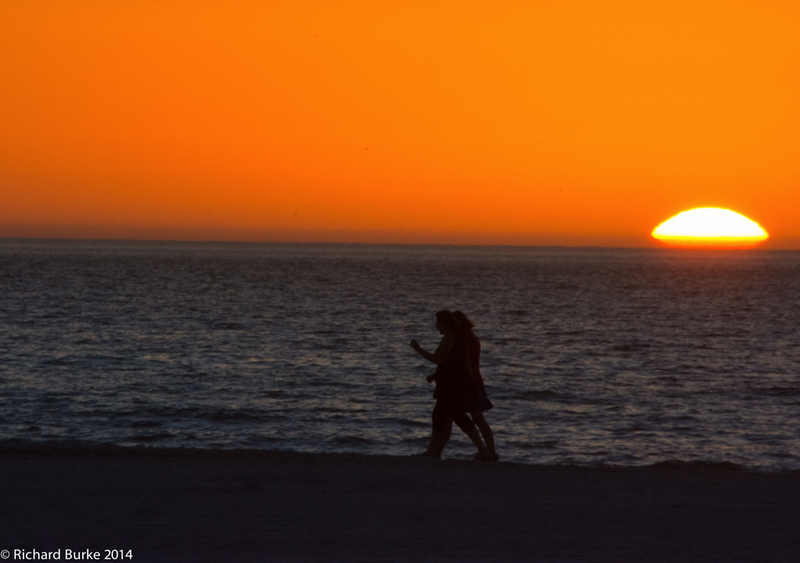 This picture is like a mystery taking place at sunset on the “mean streets” of Clearwater Beach. What is the man doing? Is it legal?